Polyester resin treated fiber is commonly found in batting and fluff, which can be used in blankets, pillows, furniture cushions and crib bumpers. It is possible to wash polyester resin treated fiber material, however laundering methods vary depending on the size of the object and the material covering the fiber. Read and follow all care instructions for the item you are laundering. 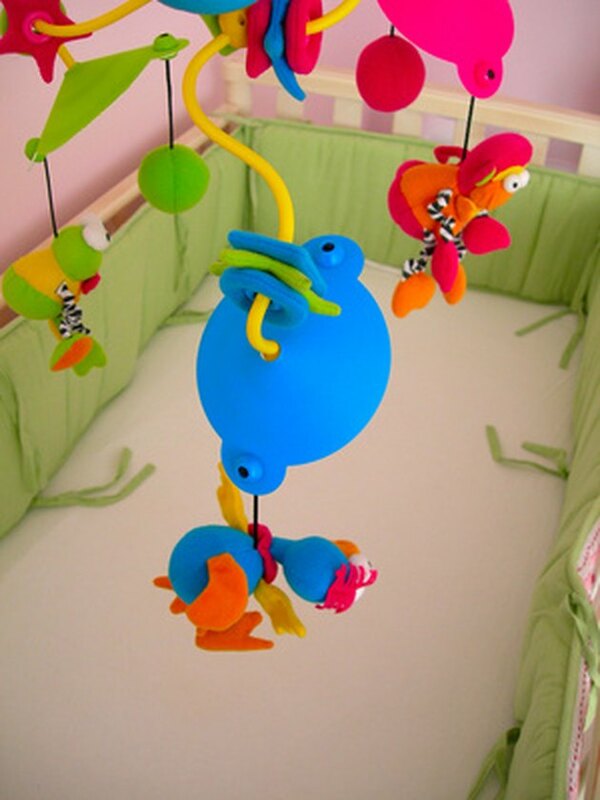 Crib bumpers are filled with polyester resin treated fiber material. Mix 1 tbsp. of liquid laundry or dish soap to a gallon of warm water in a bucket. Swirl to mix the contents. Dip a cloth in the mixture. Dab the mixture onto the spot or dirty area. Use a soft-bristled brush to work the mixture into tougher stains, if the material is not delicate. Allow the mixture to set on the stain for 15 to 30 minutes. Dip a cloth in cool water. Wipe away soap residue. Repeat the process until the stain is removed. Pre-soak heavily soiled or stained items overnight. Fill a sink, bathtub, or tub that's big enough to hold the item with water and add laundry detergent or pre-soak. Add the item into the water. Set the washing machine to the settings that are specified on the fabric care directions. Add water and laundry detergent. Remove the item after the washing cycle is complete. Follow fabric care instructions for drying. What Is the Freshen-up Program on Washing Machines?